Our last test of 2018 has uncovered an absolute corker: the best cordless vacuum cleaner we’ve ever tested. With a stunning 83% score, it’s pipped our previous top-scorers to the post and claimed the top spot. It’s not from a brand you might expect either. We don’t have any other Best Buy cordless vacuums from this brand, but with this model it’s produced a stunner. The winning vacuum aced all our tough cleaning tests, sucking up dust from deep down in carpets and crevices, and keeping allergens locked safely away so they don’t escape back into your home. If you’re on a budget, we also uncovered a new great-value Best Buy. It’s not quite as spectacular as our top-scorer, but it will give your home an all-round excellent clean. It’s not all good news, though. Several of the new cordless vacuums we tested are so poor at cleaning that we’ve named them Don’t Buys. They barely make a dent when cleaning carpets and most of them have sub-standard allergy filters too. 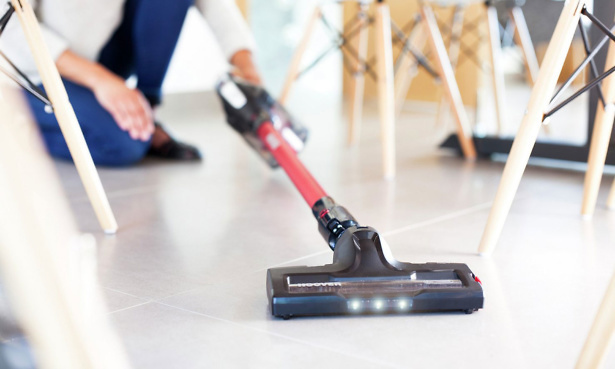 Best Buy cordless vacuum cleaners – find out which model we recommend above all others if you’re buying a cordless vacuum in 2019. Our latest test included several key new launches from late 2018: Samsung’s Powerstick Pro cordless vacuum, the new Vax Blade 2 Max cordless and Hoover’s cheaper H-Free cordless cleaner. Samsung’s flagship cordless model looks like it might be more at home cleaning up on Darth Vader’s Death Star. 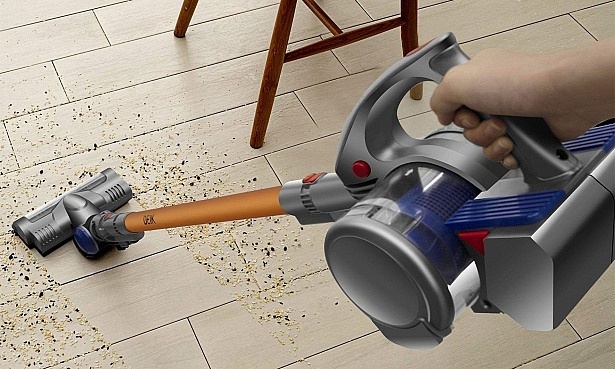 The handheld vacuuming unit looks like a space age ray-gun, and it comes with some slickly designed tools and attachments, which claim to make cleaning up any kind of spill a doddle. It has a relatively small 0.5-litre dust capacity and a near 30-minute run time, which isn’t quite as long as some on the market – particularly at this price point – but it should still be enough to cover a mid-sized home. The dust container can be completely removed from the vacuum for emptying, a nice feature which makes it a bit less awkward to tip into the bin. It’s very expensive, and gives you a bit less battery life and dust capacity than similarly priced rivals such as the Dyson V10. Can its cleaning power justify the cost? Read the full Samsung Powerstick Pro cordless review to find out. Cordless vacuum cleaner reviews – compare Dyson, Samsung and many more, and see our top picks. This Vax is claimed to have a 45-minute run time and three times more cleaning power than its previous incarnation, the Vax Blade 32V Pro. It has handy LED lights on the front that illuminate the floor while you clean, and a removable dust container which should make emptying it a bit less messy. In the box you get a crevice tool and an upholstery brush and a wall-mounted charging station. It’s not quite as expensive as top-end models from Bosch, Dyson and Samsung, but does it punch above its weight when cleaning? Read the full Vax Blade 2 Max cordless vacuum review to find out. 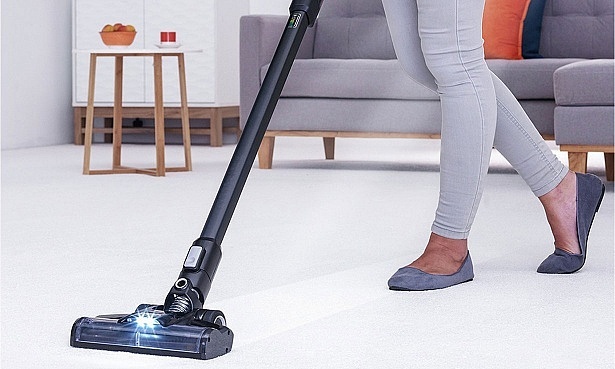 This cheap Hoover looks just like its pricier rivals. It even has the sort of premium extras you might not expect at this price, such as LED lights on the floorhead and a rubber stopper on the back so you can rest it against walls or furniture while cleaning. Can it clean brilliantly on a budget, or is it all style and no substance? Read the full Hoover HF18RH H-Free cordless vacuum review to find out. The Deik VC1606 takes style inspiration from Dyson, with its vibrant yellow and purple colour palette, and Vax, with its side-on dust container. 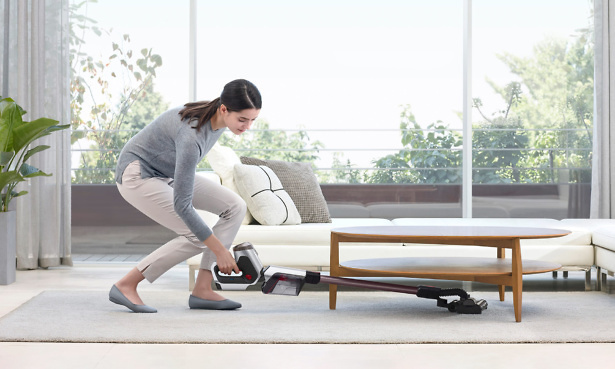 It has an 0.6-litre dust capacity and run time of just over 40 minutes, and comes with the basic handheld cleaning tools such as a crevice tool and dusting brush to help you cover tight spots. Its modest price tag makes it a tempting choice, but can it do a decent job of cleaning? Read our full review of the Deik VC1606 to find out. Earlier in 2018, James Dyson announced that his company would only develop new cordless vacuums, as he believed they were as good at cleaning as corded versions. And our tests do show that the very best cordless vacuum cleaners are nearly as good as the best corded models. Our top corded and cordless vacuums can clear 85% of the fine dust from carpets and 96% of dust from flat hard floors. But even the best cordless models still lag behind on other challenges, such as sucking up fur and fluff and cleaning in deep crevices compared with traditional vacuums. They tend to be noisier too. And only a few outstanding cordless vacuums come close to corded models. On average, the cordless vacuum cleaner market is still some way behind thanks to the large number of dreadful vacuums lurking on the market. 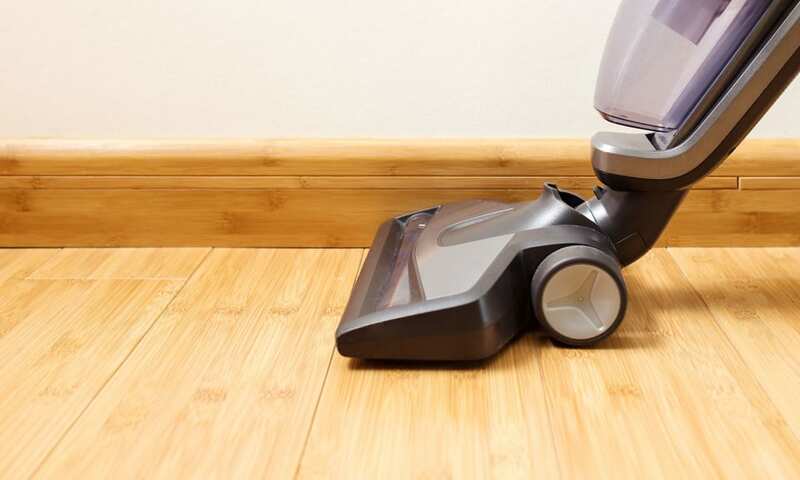 If you only have flat hard floors such as laminate in your home, most cordless vacuums can just about cope, but they are way behind when it comes to trickier tasks. This is down to the high number of poor-quality cordless models dragging down the overall average. We regularly find more Don’t Buys during testing than Best Buys, so it’s not a product to take a punt on if you see a good deal, as the chances are you’ll end up with a dud. Get the inside track on cordless models to avoid in our round-up of Don’t Buy cordless vacuum cleaners. Are cordless vacuum cleaners reliable? Cordless vacuums tend to be a little behind corded vacuums in terms of reliability. Every year we survey almost 10,000 Which? members to ask them about the products they own, and whether the products have developed any faults. This year we collected data on 1,627 cordless vacuum cleaners and 3,898 corded vacuum cleaners, and it showed that cordless vacuums are more likely to go wrong than corded models. See how reliability varies by brand in our full guide to the best and most reliable cordless vacuum cleaner brands. How to fix common vacuum cleaner problems – use our quick tips and video guide to get your vacuum working again.